A long-established gallery with unique items from around the world. 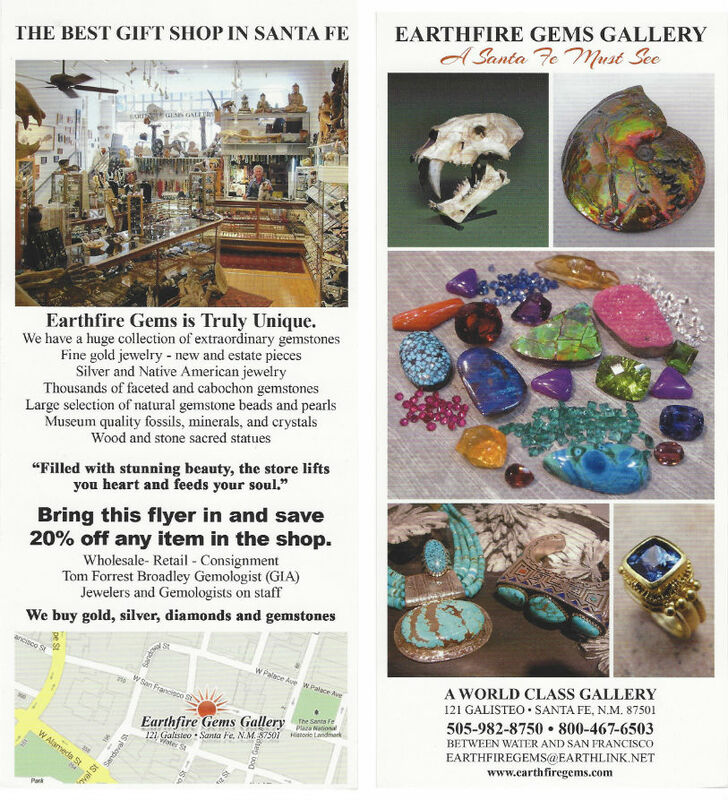 20% savings with flyer on gold and silver jewelry, gemstones, fossils, carvings and more. High quality, unique jewelry, gems and gifts. Retail. Wholesale. Consignment.